Note: This website is no longer being updated with new posts. Malcolm & Jillian are now writing new material here. Please join us, and thank you for reading! In our next edition, we will have the photos taken by Adam, our travelling photographer and college friend who travels with a camera worth more than my house. There are over 500 gigs of these “official” shots, and it’s going to take me a few days to sort through them. Not to mention get to FedEx to pick ‘em up. A big thanks to all who contributed their photos (I’m lookin’ at you, Dan, Maggie, Nick, and Amy), and a big “shame on you” to all those that took photos and didn’t send ‘em to me. If you have photos that should be added, it’s not too late…get in touch with me and we’ll figure out how to get them added to the album. Oh, and…be sure to comment freely within the album! Enjoy! Want your picture to appear with your comment? Go get your free Gravatar now! You're a really practical site; could not make it without ya! © Copyright Dropped In 2007-2010. All rights reserved. 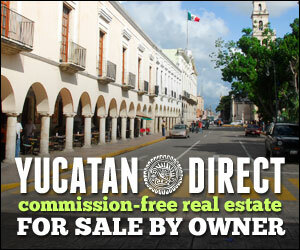 Another Studio Yucatan website.